Submitting a leave application is quick and easy, even on your mobile browser! 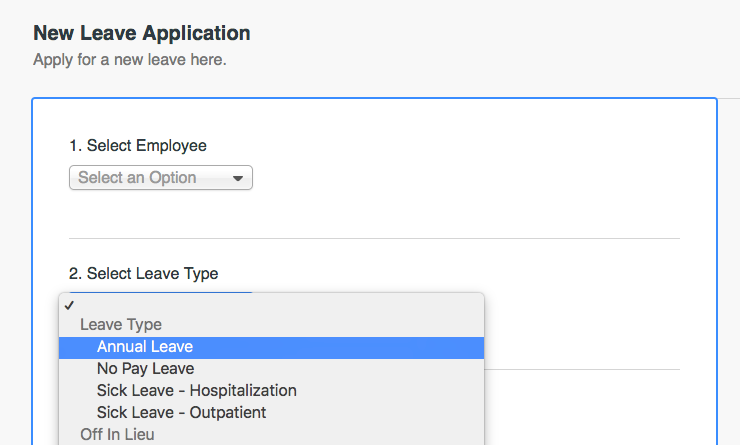 Once you navigate to Leave, most pages will display the "Apply Leave" button. You may leave this blank if you are submitting the leave for yourself. An Admin or leave approver can submit leave on behalf of others. The drop down list will display leave types eligible to the selected employee. If a leave type you have in mind is not displayed, it may have expired or the eligibility window has not opened. Picking the leave type will indicate your current balance and total entitlement for the period. A single day of leave may be applied by first or second half. Same for multiple days e.g. starting second half and ending first half. The date picker and calendar makes it easy to select dates across months. 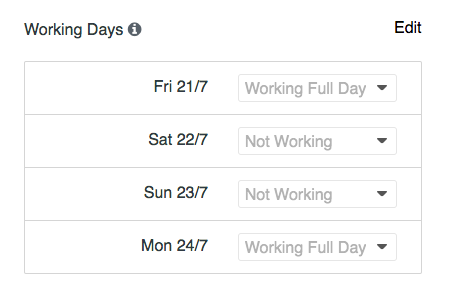 You don't have to edit this portion as it respects your work days per week settings by default. 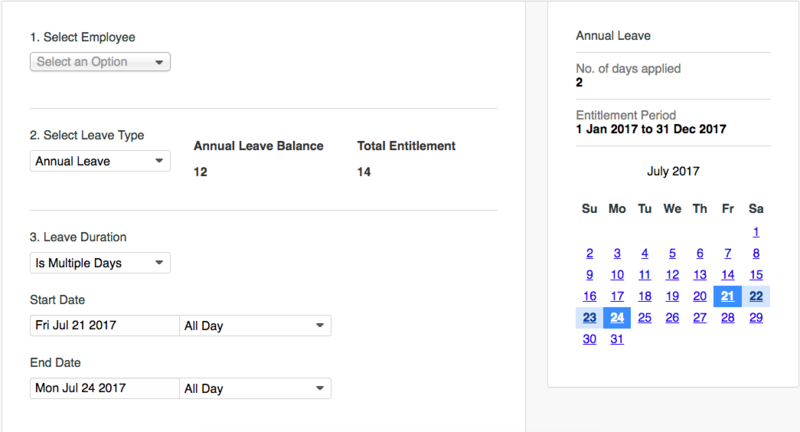 It shows your non-working days and how the total days applied is derived. *Employees who do not follow a fixed work days per week schedule may edit this to match their non-working days for the week. Lastly you can input remarks and add an attachment e.g. medical certificate where required. Once you click "submit application" this sends an email notification to the approver. Email reminders will automatically be sent on a weekly basis to approvers for any pending leave application. If an application has been approved, you need to inform your approver to delete the record - there is currently no option to amend an approved application directly.